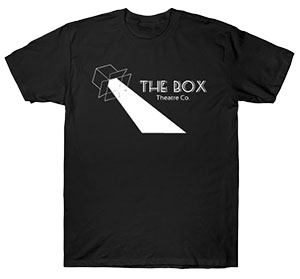 Support | Advertising | Theatre | Sponsorship | The Box | The Box Theatre Co.
Our sponsors are local companies and organizations that take great pride in serving southern Wisconsin. They share a common goal with The Box Theatre — to contribute to the area and improve the quality of life for its residents. We depend on the generous support of those who believe in the arts in the lake country area. Your financial support helps us fulfill our commitment to entertain the community, cultivate students, and build memories that will last a lifetime. Donations of any amount are used for unbudgeted expenses, capital improvements, and the continued growth of the Box Theatre. As a Box Theatre sponsor, your company will be linked with one of Lake Country’s most vibrant cultural resources and you’ll receive valuable marketing benefits. 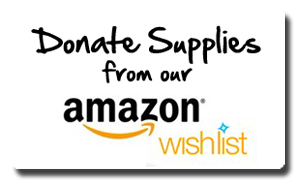 A great way to support our organization is to donate something from our Amazon Wish List. These are items that can help us in our day to day operations that we don’t currently have budgeted funds for. Donating one of these items can make life much easier for our managing directors and students. It can also add depth to our performances that might otherwise be missing. To donate click on the link (http://a.co/4gEeOTA) or the button on the side of the page. Contact Managing Artistic Director, Allison Chicorel, at (262) 560-0564 or via email at theboxtheatreco@gmail.com and get your company in the spotlight this season! Please note: The theatre phone is generally not manned. However, calls are returned within 48 hours, so please leave a message! Show your support of The Box to anyone attending the theatre by purchasing a stone tile to be hung in our lobby! Download the form here and send it by email or mail (W359 N5920 Brown Street, Suite 101 Oconomowoc, WI 53066) with payment to The Box Theatre Company before the final tile is sold. Our sponsors are local companies and organizations that take great pride in serving Lake Country. They share a common goal with The Box Theatre: to contribute to the area and improve the quality of life for its residents. Private company performance of two shows or entertainment for company event. Our next round of Auditions will be April 15 & 16, 2019! Please check back later for details. © 2019 The Box Theatre Co..